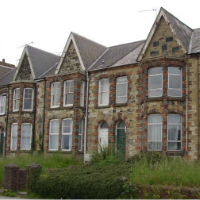 An appeal seeking to amalgamate a separate structure at the rear of the main house in Truro, an established and licensed House in Multiple Occupation (HMO), was allowed following a two and a half year battle with Carrick District Council and Cornwall Council. The structure had a complex planning history. The previous owner has demolished the property’s garage and replaced it with a separate bedsit of the same form and dimensions, which he sought to regularise with a retrospective planning application. The then Carrick Council refused permission and proceeded to serve an enforcement notice for the structure’s removal, both of which we appealed on behalf of the new owner. Although the Inspector dismissed the combined appeal, he concluded that the structure could stay intact and that it could provide suitable ancillary accommodation to bedsits in the main house. In accordance with this decision the owner ceased letting the bedsit. We advised him to submit an application to the new Cornwall Council to incorporate the structure with the seventh of the seven bedsits in the main house plus one of the shared bathrooms, through the insertion of a small section of linking wall and roof, to create a self-contained flat. In so doing the number of units (and therefore occupants) would not change but the seventh unit would offer a more spacious and improved living environment. The proposal also sought the installation of a new shared bathroom for the use of the remaining six bedsits, to replace that lost through the proposed development, thereby improving the availability of bathroom facilities to tenants throughout the HMO. Despite the Council’s own Public Health and Protection Officer viewing the proposed arrangement as being acceptable and the improvements beneficial, the Case Officer refused the application, and again we appealed. The appeal was allowed with full award of costs, on account of the Inspector finding the Council at fault for exaggerating the impact of the proposal on amenity and not considering the improved living conditions it would engender. He further criticised the Council for seeking a planning contribution for waste and recycling which it had failed to justify. Its three suggested conditions were also considered inappropriate.